Mariposa Grove is home to over 500 Giant Sequoia trees in Yosemite National Grove. 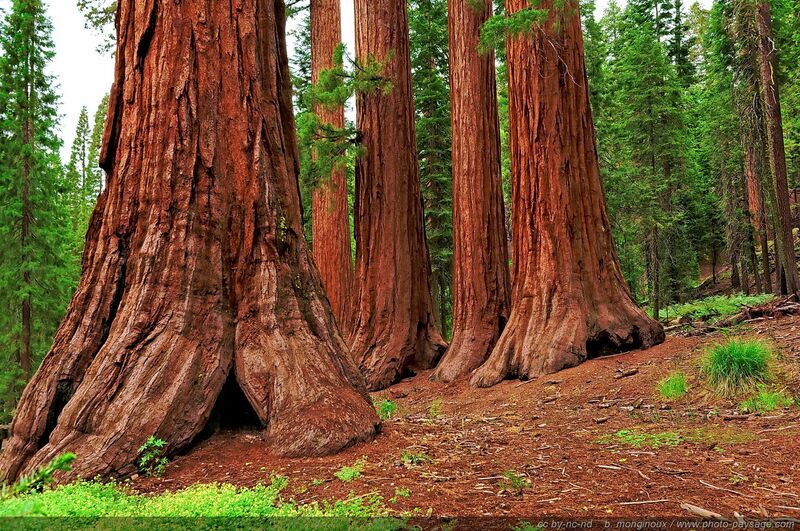 The exquisite Giant Sequoias that grow here are among the biggest living things in the world. Only Redwood trees grow taller than sequoias, and Mariposa Grove is home to some of the most astounding and oldest sequoias in existence. Grizzly Giant is the oldest tree in the grove. This Giant Sequoia is believed to be between 1,900 and 2,400 years old and has an estimated volume of over 34,000 cubic feet. This amazing tree stands 210 feet tall and 30 feet in diameter. It is the 25th largest tree in the world. The California Tunnel Tree is the only living tree with a tunnel running through it. The tunnel was cut in 1895 to allow coaches to pass through the tree and to help attract visitors to this amazing grove. Both the California Tunnel Tree and the Grizzly Giant can be reached by a hike of less than a mile from the Mariposa Grove parking lot. One of the most fascinating trees in the Mariposa Grove of Giant Sequoias is the Telescope Tree, a tree that has become completely hollowed out as the result of withstanding countless forest fires over the centuries. Visitors to Mariposa Grove, Yosemite, can stand inside the base of the Telescope Tree and see all the way through its trunk to the sky above. The tree is still alive, but greatly weakened from the fires it has been through – it could collapse at any time. The Mariposa Grove of Giant Sequoias is also home to the Washington Tree, the largest tree in the grove at 35,950 cubic feet; the Faithful Couple, a pair of trees who grew so close to each other that their bases fused together; and the Fallen Monarch, a tree that fell over more than three hundred years ago. Giant sequoias are extremely resistant to decay – it is unknown how long the remains of a fallen tree can last if left undisturbed. Mariposa Grove is an astounding piece of natural history and a must see for any visitor to Yosemite. Maps of trails through the grove are available here. Be sure to plan your hikes ahead of time to see the best that Yosemite has to offer. And don’t forget to reserve a condominium, home, or cabin from Yosemite’s Scenic Wonders to ensure that your trip is as comfortable, relaxing, and affordable as possible. 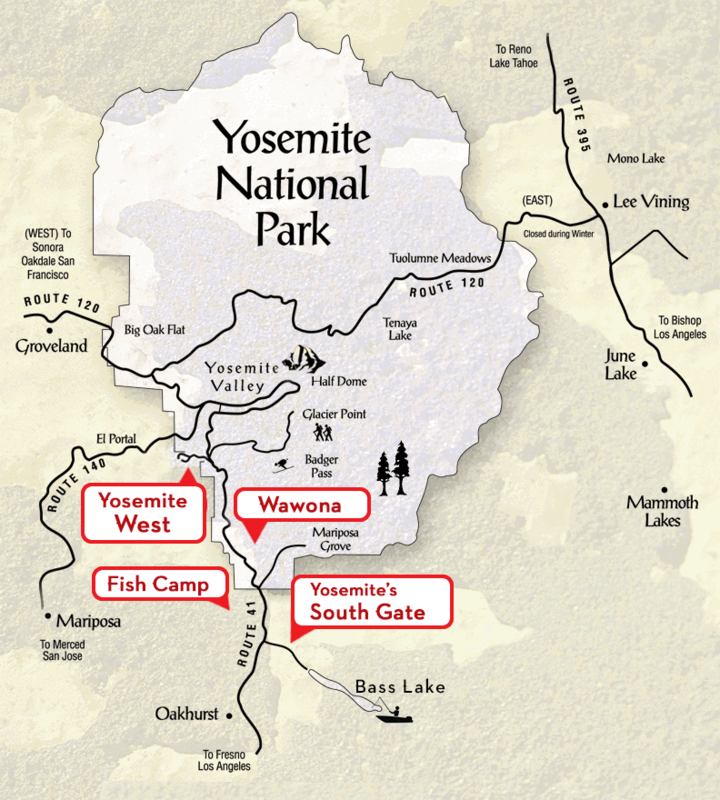 We offer affordable vacation rentals within the gates of Yosemite National Park just minutes from Mariposa Grove. Call our friendly staff today at 1-888-YOSEMITE (1-888-967-3648) to discuss our rental options or make your reservation online.